John Calvin Presbyterian Church was conceived in 1958 and organized in 1959 by what is now called National Capital Presbytery. The Reverend Earl Christman from New York was called in April 1959 to be the organizing pastor of the new congregation, and the first formal worship service was held December 6, 1959 at Belvedere Elementary School. Working with the Presbytery, the congregation purchased 5.75 acres at 6531 Columbia Pike in September 1960. 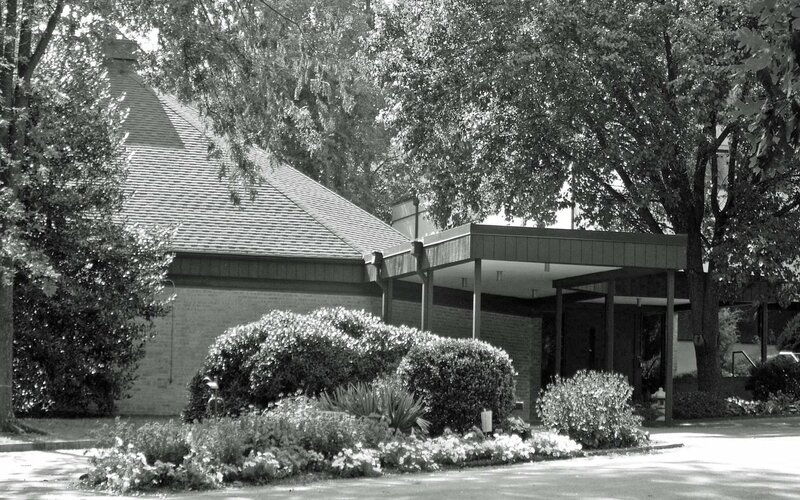 Plans for a new church facility were submitted January 31, 1961 to an architect with the decision that the first unit of John Calvin Presbyterian Church would be the social hall structure, with additional buildings to be added as money became available. The first floor of the building was a dirt floor until classrooms were added in 1964. The new building was formally dedicated on June 3, 1962. As the church grew, the session and congregation decided in 1976 to consider building a sanctuary on the property. This structure was completed in the fall of 1978, and dedicated on January 29, 1979. Reverend Christman's long tenure ended in 1970, which marked the arrival of the Reverend Dr. Robert Close as the second pastor in JCPC's history. During Dr. Close's ministry the congregation's spiritual life was deepened and the sanctuary was built and dedicated early in 1979. At the beginning of 1997, Dr. Close retired after 26 faithful years of service to JCPC. In the summer of 1999 the congregation called its third full-time pastor, The Reverend Bruce D. Tacy. Ordained in 1987 following graduation from Princeton Theological Seminary, Pastor Tacy had an extensive background in finance, community involvement, and service to our denomination. Guided by his leadership and that of the gifted elders serving on our Session and our excellent church staff, JCPC moved toward a new chapter of our history with excitement and hope. Sadly, on August 8, 2006, Bruce Tacy passed away. On December 23, 2007 the congregation called the Reverend Lisa Rzepka to be the fourth permanent full-time pastor at JCPC. Ordained in 2002, Lisa brings with her experience from the corporate culture as well as previously serving churches in Baltimore, MD and Fairfax, VA. Lisa has a passion for growing the spiritual vitality of a community and we are excited by what lies ahead for our combined ministry at JCPC. For information on our ministries please continue browsing through the site and we hope you will…Come and grow with us!